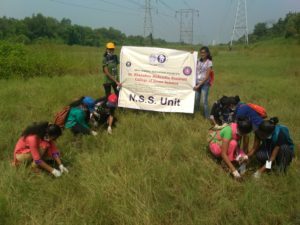 NSS Unit observed “Van Mahotsav” from 2nd to 6th July 2018. 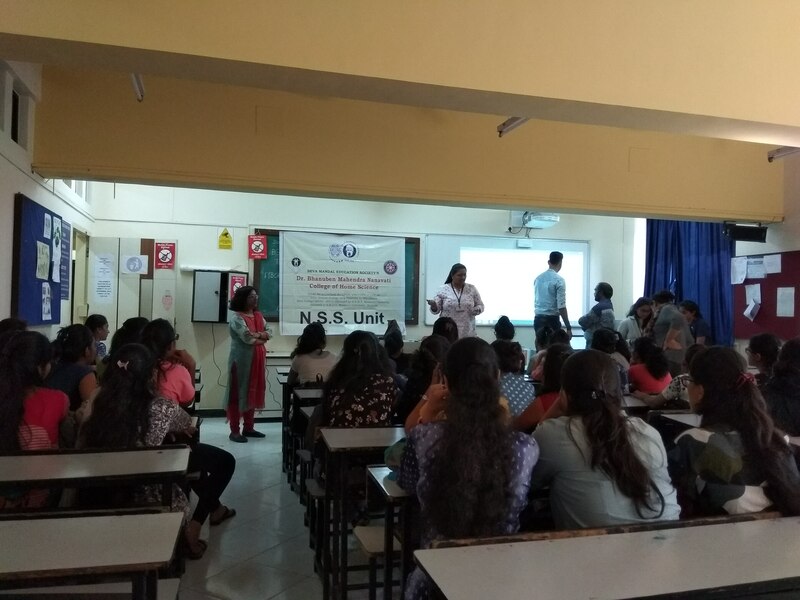 A guest lecture was organized for the students of FY.B.Sc, on the topic “Sustainable Development and Population Dynamics in the World”. 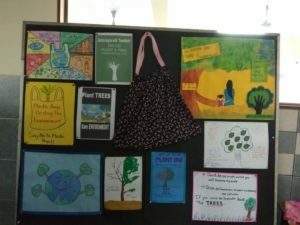 by Dr. Baishakhi Dutta, Associate Professor, Dept. of Geography, R.J. College of Arts, Commerce & Science. 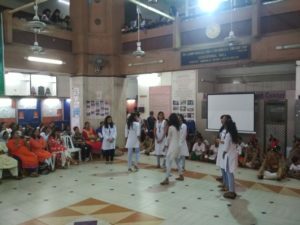 13 NSS Volunteers performed the skit on “Importance of Hepatitis B Vaccination” in the Ganesh Nagar, Wadala in Collaboration with United Way Mumbai. 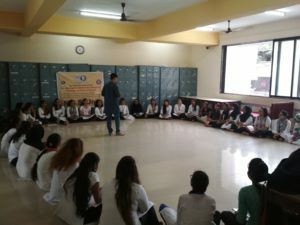 A Street play Workshop was organized to train First Year NSS Volunteers on effective script writing for Street Play by Mr. Santosh Panigrahi, Program Coordinator, Dr. Sushila Gandhi centre for women. 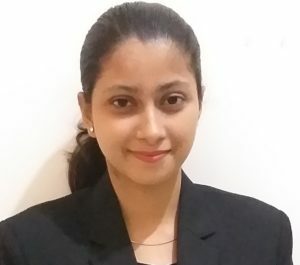 Ms. Divya Pongde from T.Y.B.Sc. 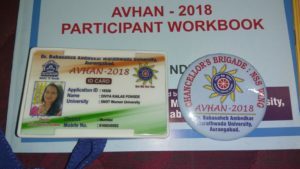 participated AVHAN State Level Disaster Management Training camp held Aurangabad from 25th May to 3rd June 2018 conducted by the 5th Battalion NDRF Team. 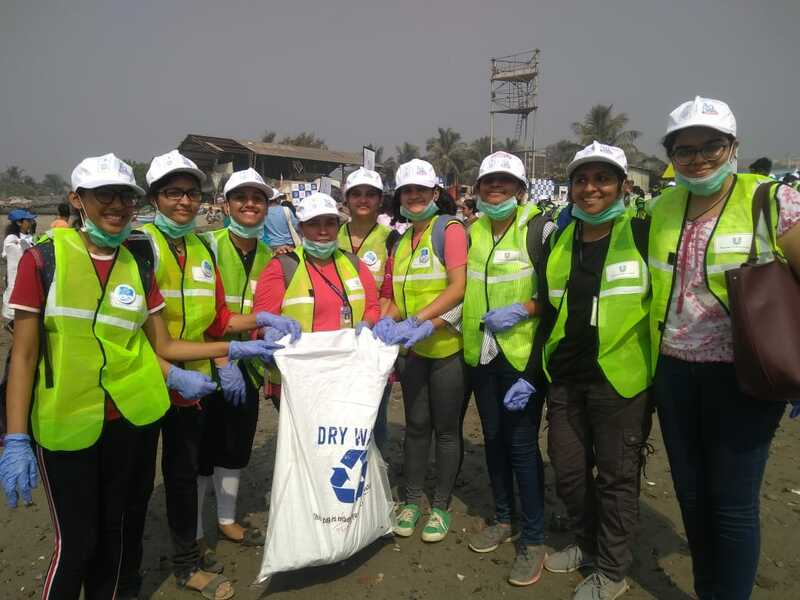 9 volunteers of NSS,EVS & GSC along with Mr nitin pawar NSS PO participated cleanliness drive and mangroves tree plantation at sanpada Palm Beach organised by United way Mumbai on the occasion of Mahatma Gandhi birth anniversary ie 2nd October 2018. 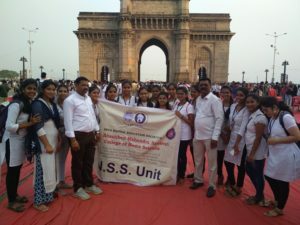 NSS unit of Dr bmn college of home science participate in wyasanmukti mumti rally organised by NSS cell of SNDT to women's university and Mumbai University in collaboration with nashamukti mandal maharashtra rajya on 1st October 2018. 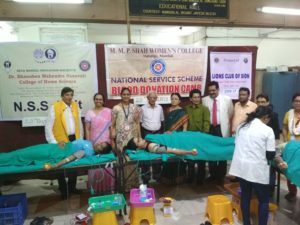 A Blood Donation Camp was organized on 29th August, 2018 in collaboration with the Sion Hospital, the NSS Unit of the Smt. 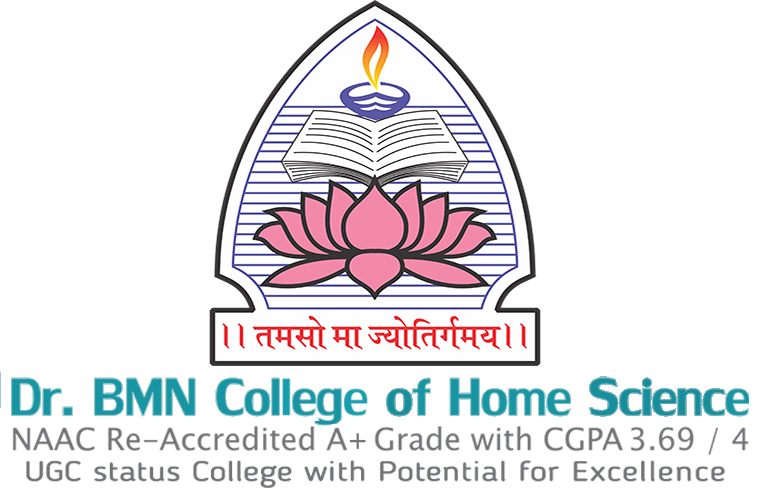 M. M. P. Shah Women’s College of Arts and Commerce and Lions Club of Sion . 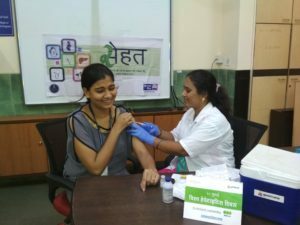 Ms. Swapnali Belekar from Second Year B.Sc. 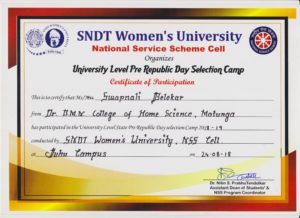 attended and participated in the selection of Pre RD Parade at SNDT Women's University, on 24th August, 2018 and she got selected for state level pre rd parade selection. 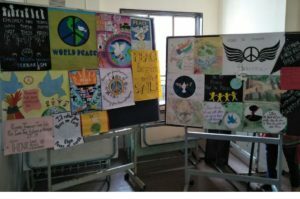 A poster and slogan competition was conducted on peace and harmony . 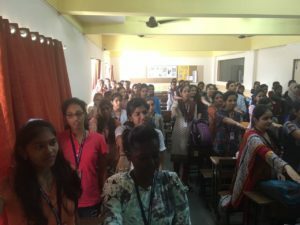 First Year, Second Year and Third Year student of BCA took the pledge on "Sadbhavana". 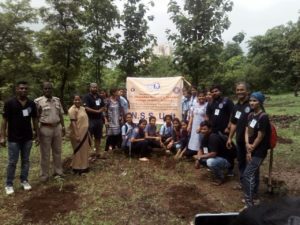 SYBCA and TYBCA students performed street play on “Plastic Free Environment” on Independence Day in college. 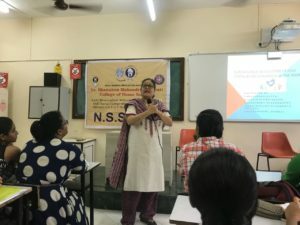 For Third Year B.Sc., Mrs. Reshma Siddhaye conducted a lecture on importance of Breast Feeding and diet of lactose mother on 16th August 2018. Posters were displayed on Breast Feeding. 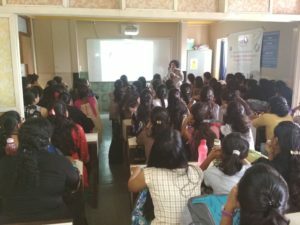 on 17th August 2018 Ms. Vinaya Vaishampayan, Assistant Professor and Coordinator for Nutrition and Dietetics delivered lecture on Breast Feeding and also the supplementary diet for mother and child was discussed for Third Year BCA. 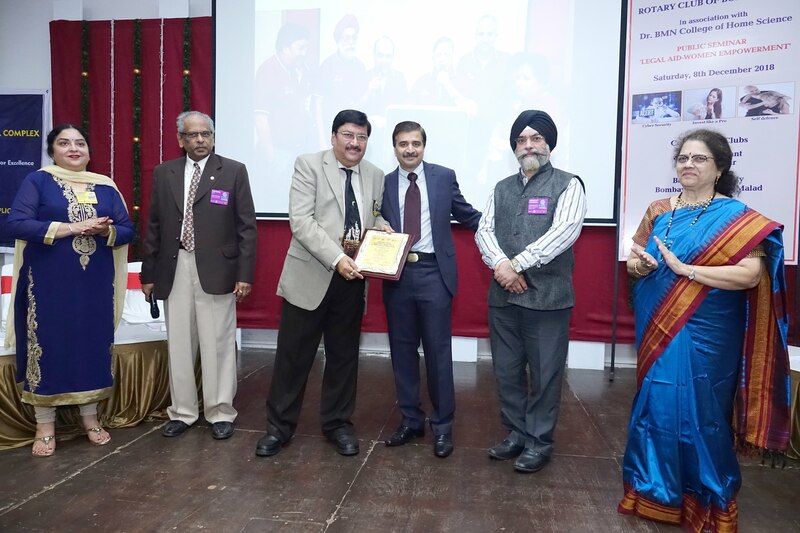 Ms.Amreeta Sharma has been awarded as the best NSS volunteer of 2018-2017 (State Level). 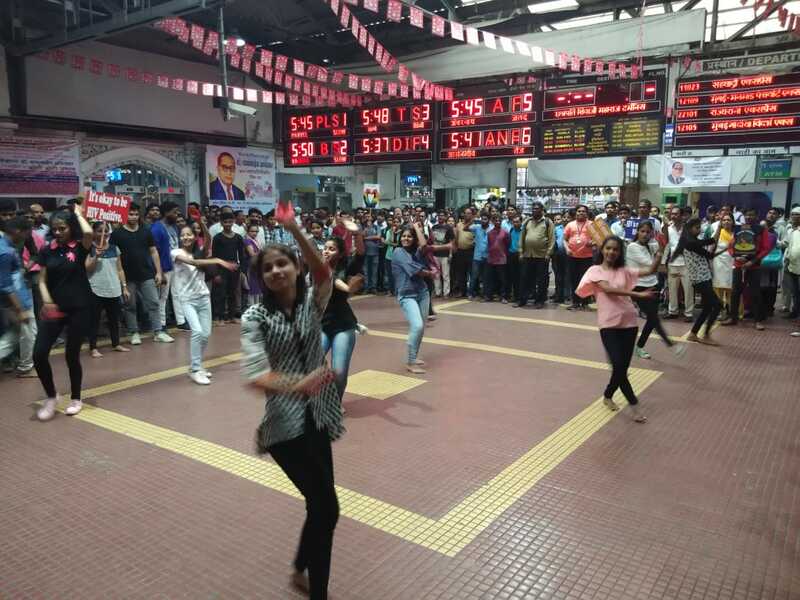 Girls performing flash mob on HIV AIDS awareness on 3rd Dec 2018 at CST station. 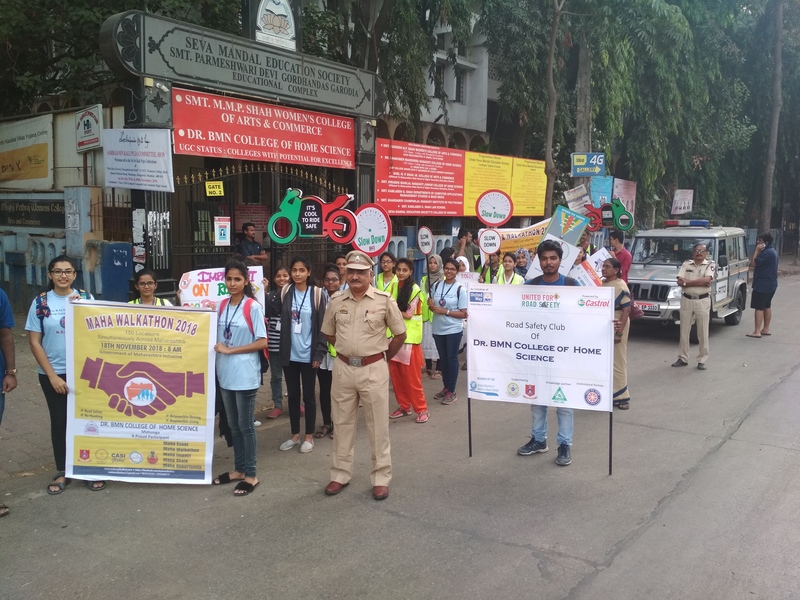 25 NSS Students participated in the Mahawalkathon Rally on 18th November 2018, initiated by State Government of Maharashtra in collaboration with PWD, Maharashtra RTO, CASI, CSR Diary jointly with United Way of Mumbai and rotary act club of Matunga to spread awareness about "Road Safety, No honking, and Responsible Driving". 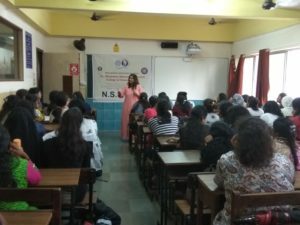 The public seminar 'Legal aid-Women Empowerment organized on 8th October2018. National unity day was observed on 31st October on occasion of birth anniversary of late sardar Vallabhbhai Patel. A short film was shown to 40 bca and BSC nss volunteers. 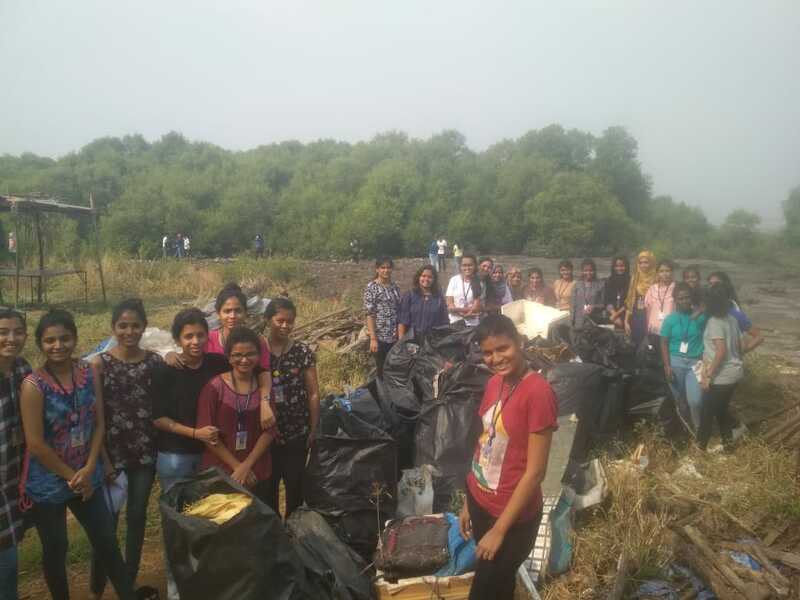 ES committee and Nss unit of Dr.Bmn college along 149 students from BCA, M,Sc CND and TyIDD(SCNIP) joined in cleanliness drive. 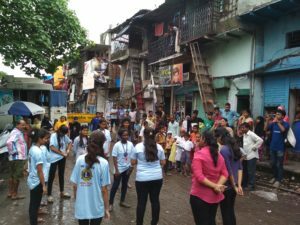 In collaboration with Jay foundation and United way at Mahim Creek. 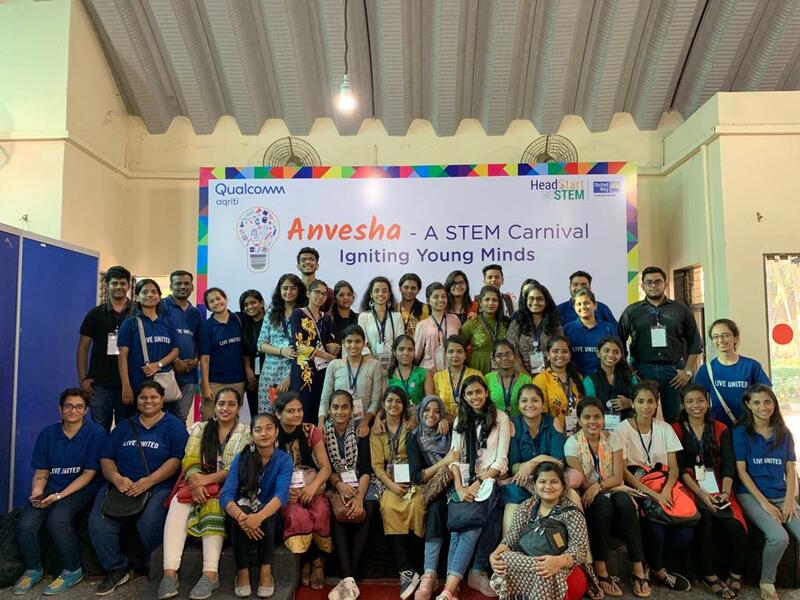 On 6th February, 2019, 25 NSS Volunteers participated as volunteers in Anvesha, a Carnival organized by United Way, Mumbai to encourage experiential learning with a focus on STEM among children for students from low income schools and communities. 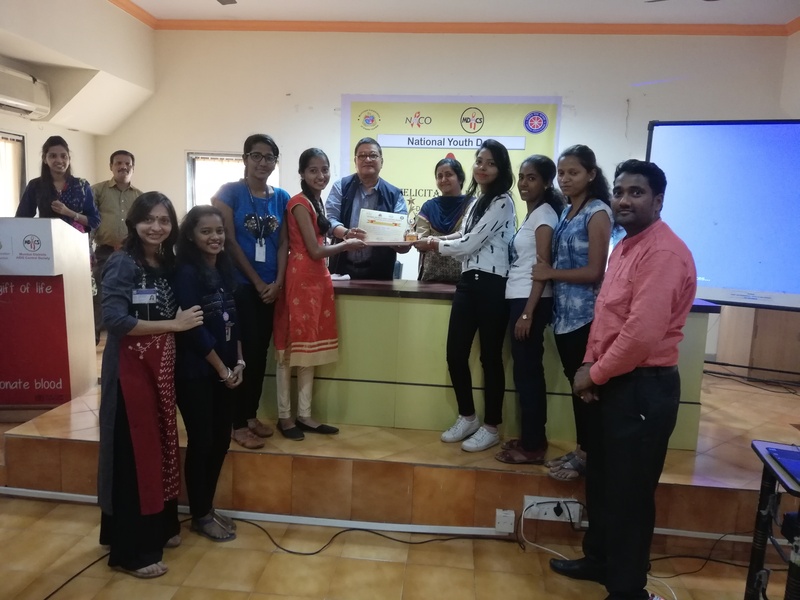 6 NSs volunteers received certificates and trophy for participating in Flash Mob at CST, Dadar, Bandra to create Hiv Aids Awareness in society organized by Mumbai District Aids Control Society.